We are pleased to have guest writer and rider Kris Van de Velde, telling us about the Tour of Flanders. Kris runs Kuai Sports Events & Promotions and acts amongst others as the Race Director & Promoter for the popular Genghis Khan MTB stage race in Inner Mongolia, China, and also as promoter of the upcoming Victoria Velotour in Australia. short, steep bastards of hillclimbs plenty of which covered by cobblestones rather than tarmac. A lot had changed since then and not only my competitive level: also the course of the Tour of Flanders has changed dramatically. has witnessed a significant increase in popularity among the international cycling community, which began to realise that there is another spectacular classic one-day race other than the renowned Paris-Roubaix. Suddenly amateur cyclists from the US, Australia, Great Britain and even Japan turned up in ever bigger numbers in the magnificent city of Bruges to ride the integral cyclotour version on pre-race Saturday. also developed quite a majestic symbol: the Muur van Geraardsbergen. That legendary steep and cobbled climb in the final 20k of the race had become the ultimate image, illustrating both the beauty and the extreme challenge of the event. Everyone wanted to conquer the Muur and climb up that famous small chapel at the top. In 2011 ownership of the Tour of Flanders changed hands and went to Flanders Classics, a new financially healthy organisation that was bringing nearly all local spring classics and semi classic races under one and the same umbrella. When the new people in power announced they were changing the design of the Tour of Flanders and alter the finish from Ninove to Oudenaarde, in so doing deleting the Muur van Geraardsbergen from the race course, Flanders was on fire and cycling fans abroad were even adding oil to this unbelievable 'blasphemy'. Not only was the Muur taken out, but instead there would be three loops of the Kwaremont and Paterberg which gave Flander's biggest cycling event the appeal of an ordinary kermesse race and on top seemed to be designed merely to please the many VIPs who attend the race and pay good money for the privilege, too. The controversy did not let up after the first two editions of the 'new' Tour of Flanders proved to be lacklustre races with the top guns waiting and waiting until the final loop to go blazing. The fact that they were won by Tom Boonen and Fabian Cancellara, the two best cobblestone classic riders of this generation, did not lift the disappointment most cycling fans felt. of course also had a facelift as a result. It is impossible to let 20,000 people loose on three small loops , so the amateurs on Saturday actually do a modified course nowadays that feature a number of climbs that the professionals do not have to digest on race Sunday. As I found out last weekend, that actually means that we amateurs have a more diverse and interesting course than the pros! Nothing has changed for the start: 7 a.m. in the centre of Bruges with roughly 4000 others who take up the challenge of riding the full distance of 245km this year. Less ambitious riders can still opt for a 140km and 70km shorter version. The goal for the first hours of the tour is to save as much energy as possible and this you do by sitting comfortably in a group. This is not difficult with so many riders participating. It is chilly in the early morning and some people like to up the pace from time to time to get warmer. 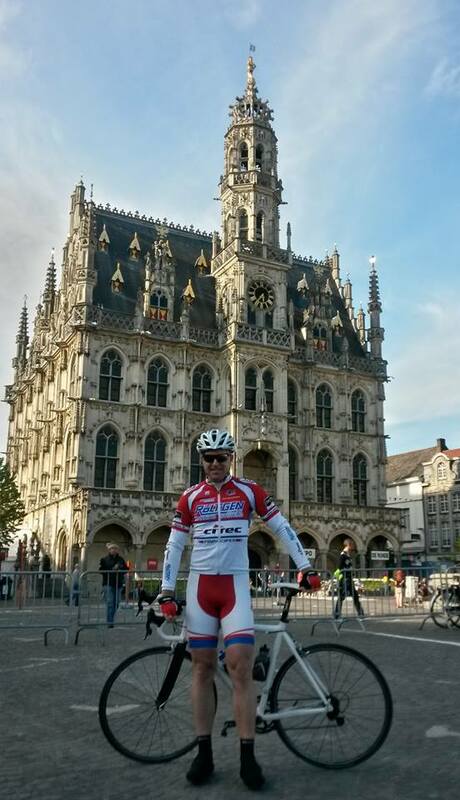 When thinking of the Tour of Flanders you would forget that this region is actually pancake flat. The long stretch from Bruges via Kortrijk towards Oudenaarde serves as a reminder of that: other than a bridge over a highway there was not a single altitude metre to be noticed. : the Koppenberg. The toughest and steepest climb of them all with 22% maximum gradient and cobbles in very bad shape. One wrong by yourself or by a rider before or next to you and you are lying on the ground. Most participants indeed don't manage to stay in the saddle and walk up, more often than not blocking others who see their conquest of the Koppenberg thwarted. 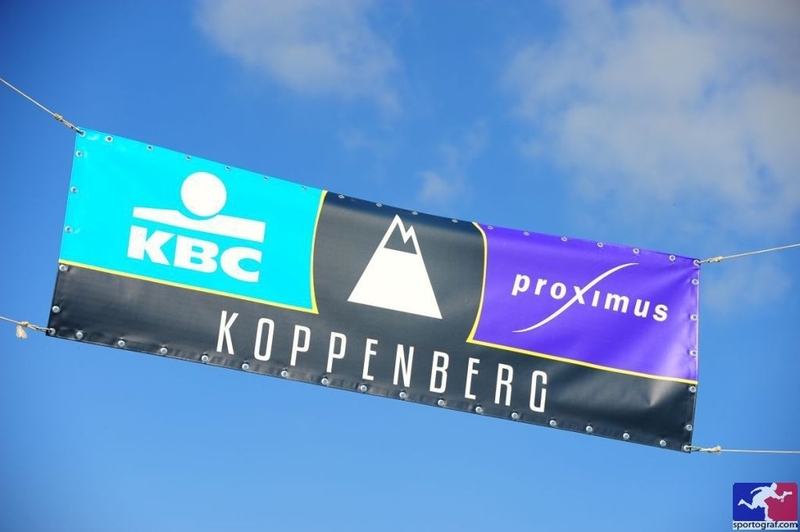 Later at the finish the first question family and friends will ask you is: "did you manage the Koppenberg" . You can imagine there's few lovely words being exchanged between people as they struggle their way up in pursuit of a "yes, I did it!". Last weekend, I did not want to ride up, though. After 175km and not being in shape, there was no way. But bloody hell: where is everybody? I approach the Koppenberg with seven Spaniards and around us there's no cyclist to be seen! An unexpected vacuum in the otherwise consistent stream of people that day. Calling it an open goal would be too easy but it was a sudden boost to the morale resulting in a stubborn refusal to get off the bike. And also: who knows who is standing and watching up there on top? I shifted down the x25, the smallest gear I had, pushed my heartrate to new heights of late and could not suppress a slight smile as I crossed the line that marks the top of the Koppenberg. fairytales do not last long as the next climb is also notorious: the Taaienberg. This is the climb where Tom Boonen traditionally unleashes his demons. Coming only briefly after the Koppenberg, this is where many people's lights went out. Mine were also fading but still on. 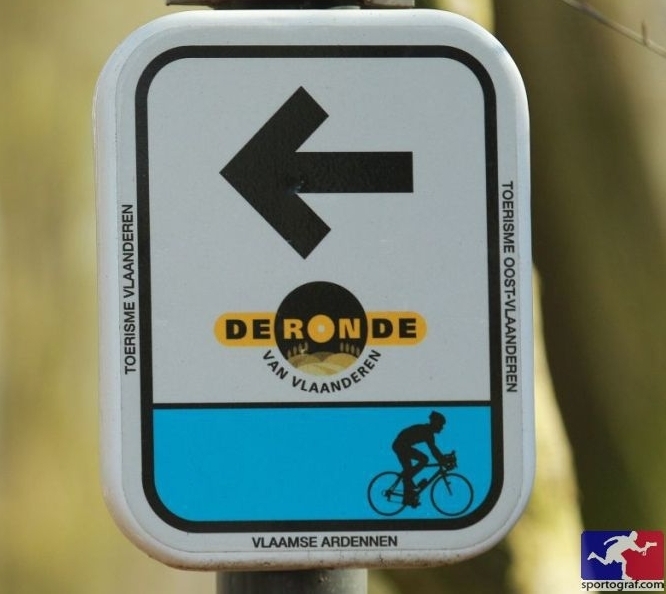 The climbs follow each other rapidly now and it is necessary to take it easy because at the very end there is of course still the famous duo Oude Kwaremont and Paterberg, which now have become the determinant climbs for the professionals. In fact, the Oude Kwaremont is not the hardest climb at all, but upon reaching the top you continue on bad cobblestones for still a long stretch and it is not flat as in flat neither. Perhaps to my personal advantage, too many riders at the same time meant that the pace was very modest and I could save strength for the final climb of the Paterberg: a short but very steep 20 percenter. A Dutch TV reporter on the side of the road was yelling questions at me as I began the climb and the many spectators on the Paterberg motivated me to go all the way once more. After the top, there was just 12km of solid tarmac road to the finish in Oudenaarde. Verdict: the route for us amateurs is more rewarding than a few years ago and the finish in Oudenaarde of course is quite an added-value. The organisation is clearly very experienced and there were no mishaps at all, with plenty and sufficient food and drinking stations as well. Then again, I still miss the old finale with the Muur, the Bosberg and the slightly rollercoaster road to Meerbeke-Ninove. The combination of Oude Kwaremont-Paterberg and the unexciting straight road to the finish just do not have produce the same kind of vibe. Maybe in a few years? In any case, I am looking forward to the 2015 edition already!